Hydro bills for residential and small businesses customers in Ontario will drop by eight per cent effective Jan. 1, as the government begins a rebate of the provincial portion of the HST on electricity. Hydro bills for residential and small business customers in Ontario will drop by eight per cent on New Year's Day, as the government begins a rebate of the provincial portion of the HST on electricity. 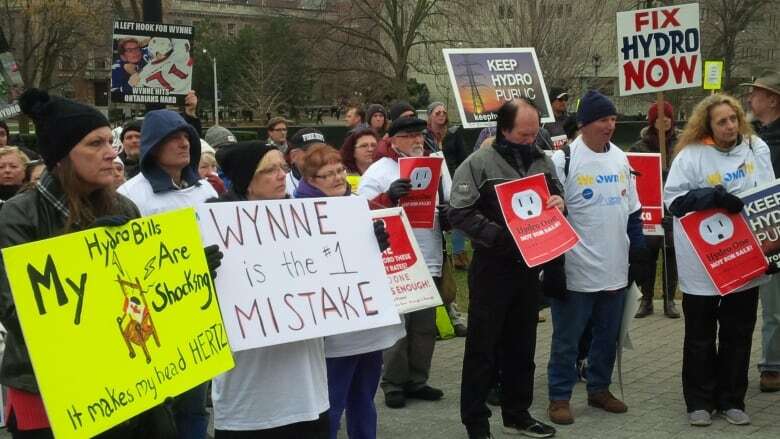 The rebate comes after a year in which hydro bills rose to the top of the political agenda in the province, with polls suggesting the cost of electricity ranks higher than any other issue among voters' concerns. But Premier Kathleen Wynne admits the discount may not be enough for people struggling the most with their hydro bills, and she's hinting at more relief to come. 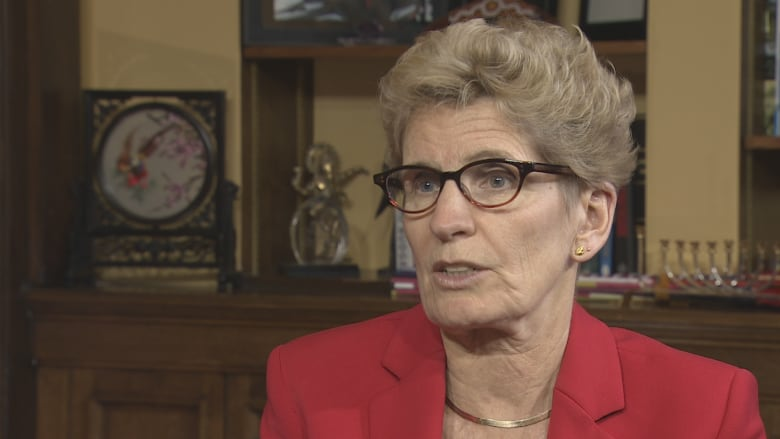 "For some people it will make enough of a difference, but there are people in the province who are paying a disproportionate amount," Wynne said in a year-end interview with CBC News. "There's more that we have to do and the minister of energy and I are looking at what that may be." Wynne indicated the hydro relief will not be across the board, but instead aims to help "the people that are carrying the heaviest burden." She did not commit to a time frame when it came to future help, but said, "I would certainly like to see something before the budget or by the budget." The budget date is yet to be set, but it is typically tabled in March. Before taxes, the typical residential customer in Toronto is now paying $142 a month for electricity, while a Hydro One customer in a medium-density rural area is paying $158 a month, according to the Ontario Energy Board's electricity bill calculator. On Jan. 1, 2016, hydro bills spiked by about $12 a month on average, when the previous Clean Energy Rebate of 10 per cent expired. Then in April, the Ontario Energy Board approved a rate hike of 2.5 per cent, and said the increase was needed because people consumed less electricity than expected during the previous winter. As bills rose through the hot summer, the Liberals began to feel the political heat over hydro. The party even attributed its byelection loss in Scarborough-Rouge River to anger over electricity prices. That prompted the Wynne government to promise the HST rebate during the Speech from the Throne in September. Yet that promise failed to stem the frustration over the cost of electricity, with reports of small businesses and poor families struggling to pay their hydro bills. The anger resonated across the province, with protests and complaints about hydro rates in Hamilton, Sudbury, Windsor and at Queen's Park. Wynne took the blame in a speech to Ontario Liberal Party members in November. "People have told me that they've had to choose between paying the electricity bill and buying food or paying rent. That's unacceptable to me," Wynne said. "Our government made a mistake. It was my mistake. And I'm going to do my best to fix it."